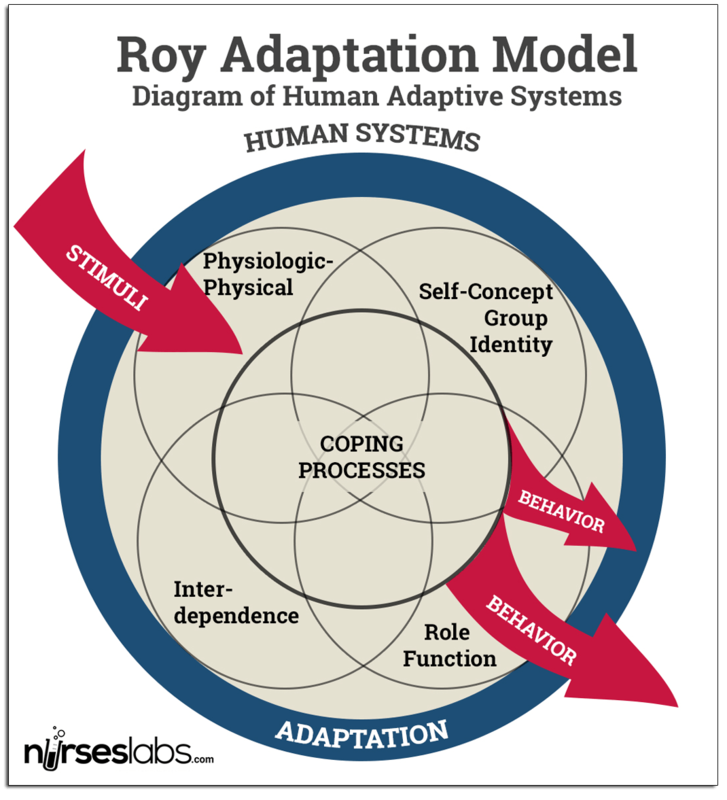 Callista Roy and Betty Neuman's theories view the person (individual, group, or community) as a holistic adaptive system that constantly interacts with the internal and external environments. Both theories view the person as being the center of nursing and present health/wellness and illness as parts of the same continuum, however there are some key assumptions that are different. As such, select one of the theories and identify 1 assumption of the theory and discuss how the care rendered for this patient by an advanced practice nurse would be structured (assessment, diagnosis, planning, intervention, evaluation) according to the theory. Give 2 specific examples of interventions that you anticipate will be included in the patient's care.